I fancied a trip further afield on Sunday and so ended up around Fishguard in Pembrokeshire, one of my favourite places in Wales. First port of call was Cwm yr Eglwys on the north side of Dinas Head where we hoped to find a Red-Necked Grebe that had been feeding in the small cove there for the best part of a week. The sun was just starting to peek over the hilltops as we arrived, lighting up one of the most picturesque places I have ever been to. The small foreshore is dominated by the remains of a 12th century Church that was mostly destroyed in the huge storms of 1859 and its extensive graveyard. Bordering the church are a few cottages whilst out front there is nothing but glorious Pembrokeshire coastline. Considering that Cwm yr Eglwys is supposed to have its own micro climate at a couple of degrees above the Pembrokeshire average it was absolutely freezing while we there. The sea was amazingly calm but all we could see were a few Oystercatchers and a couple of passing Cormorants while overhead two Peregrine Falcons were squabbling. It was only as I was making one last sweep of the bay that I finally spotted the Red-Necked Grebe. Remarkably it was quite close preferring the area around the two buoys on the left hand side. It gave us superb views for the remainder of our visit catching a huge fish at one point that it seemed to be having trouble handling. It was a cracking little bird and whats more gives me my first lifer of the year. I never expected that to happen so soon and in such a lovely spot as well! We headed back towards Fishguard stopping off at the old castle first to look over Fishguard bay. A Shag with full on breeding plumage tuft was out in the water as were a couple of very inquisitive Seals. The main find though was three Red Throated Divers heading over the water from the direction of the lower town. That rather made up for the lack of success with this species the day before. Thinking that the lower town might be a good bet we moved there next. We couldn't find any more divers but did spot a female Red Breasted Merganser and more surprisingly a single male Gadwall. I think the bird must have somehow convinced itself that it was a Mallard as it would not leave the side of one female duck in particular. We could be on for some sort of weird hybrid at this rate. Also present was a Buzzard that I first saw sat right on the side of the river before it was disturbed by a passing car and flew up to a nearby boat mast. As is often the way a Crow soon turned up and began to subject the Buzzard to a vocal barrage from a few feet away. I love the composition of this photo as the Buzzard seems to be completely unperturbed by the abuse it is receiving. Indeed the Crow must have eventually got the message as it fell silent and decided that a staring contest was the best approach. 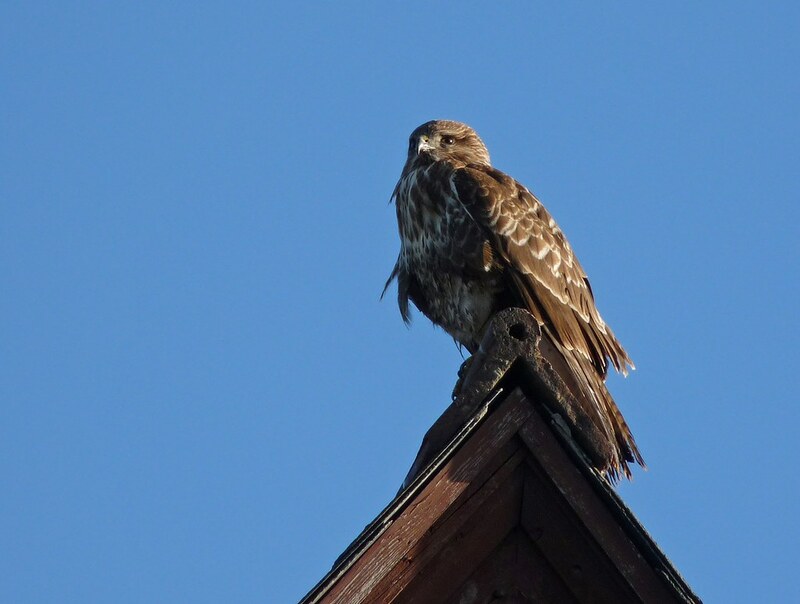 Later the Buzzard had relocated to the roof of a nearby house where it posed perfectly against the clear blue sky. Further around the coast at Goodwick we walked along the inner breakwater and were amazed to find a Red Throated Diver floating a few meters out. I have never seen one so close before and quickly clambered over the rocks to get on a similar level. It watched me for a few minutes before tucking its beak under its wing and dozing off. It stayed around the same area for the rest of the day giving great views to anyone that passed. The afternoon was spent walking the coastal path from Strumble Head to Fishguard in conditions that had thankfully warmed up. Small flocks of Guillemots were continually criss-crossing the sea but what struck me most was the large number of Great Black Backed Gulls in the area. I don't remember ever having seen so many there before. It was also nice to see a single Chough next to the observatory and three Fieldfare in the field behind the car park. All too soon though it was time to head back home after what had been a cracking day. I can't wait for the long summer days where I can pack even more in. Great photos and a fine essay on the area. Keep it up; it's a fine combination. Boom & Gary of the Vermilon River, Canada. Thanks Boom and Gary. Much appreciated. Your "buzzard" looks a lot like the "hawk" in my post today but I think mine has a longer tail. 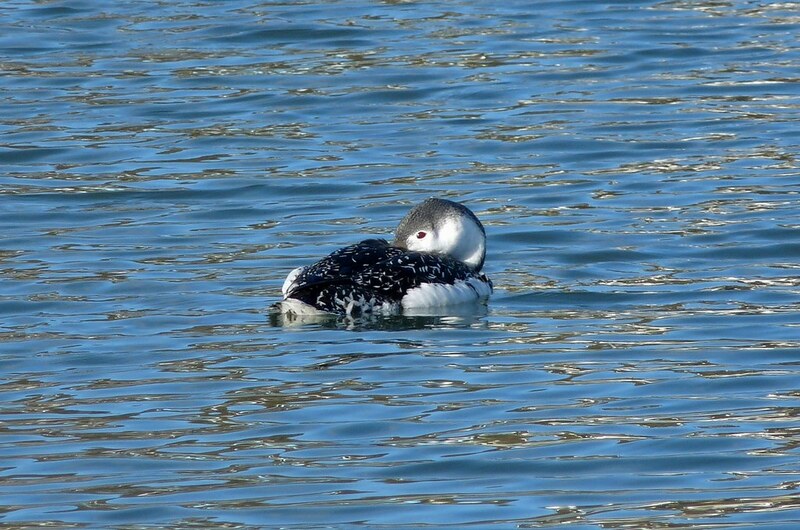 The diver is beautiful, I had been hoping to see one (called loons in US)and fianlly spotted one in November. I'd still like to see one in breeding season. Love the shot of the Buzzard and Crow. I can never understand why they get such a hard time. I can't get enough of your prose, it draws its own elegant pictures. I actually hear your voice inside my imagination as I read your great stories. I've got you pegged in with a soft English baritone if you want to know. 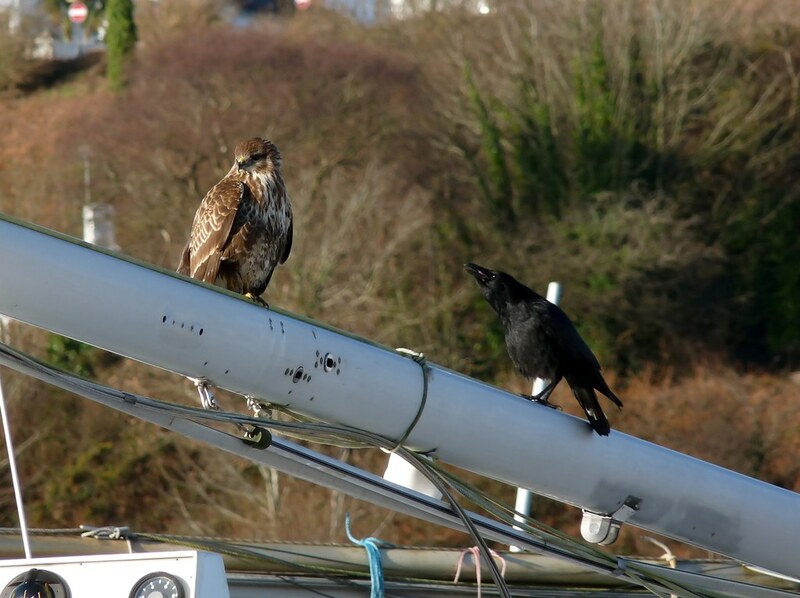 Your pictures are brilliantly taken, razor sharp beauties.The crow dressing down the hawk is an instant classic. This is one "cracking" post! The scenery in that first photo is wonderful. Great photos of all the birds too. Beautiful images and info. Thanks for sharing. 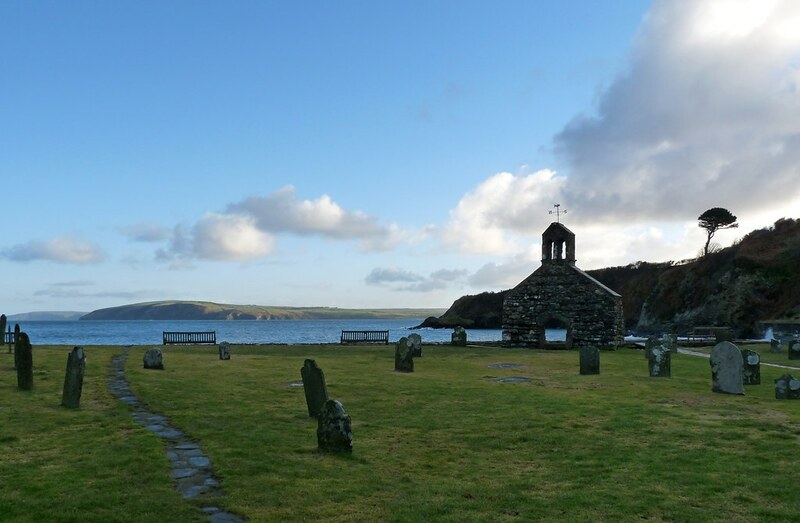 The landscape of the church yard against the sea is breath taking! 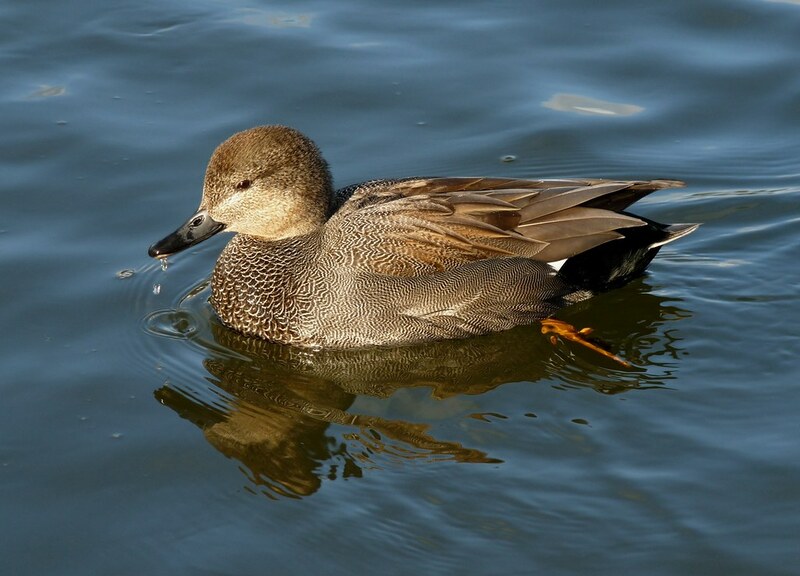 What a group of wonderful birds and the feather detail on the Gadwall is so wonderful! 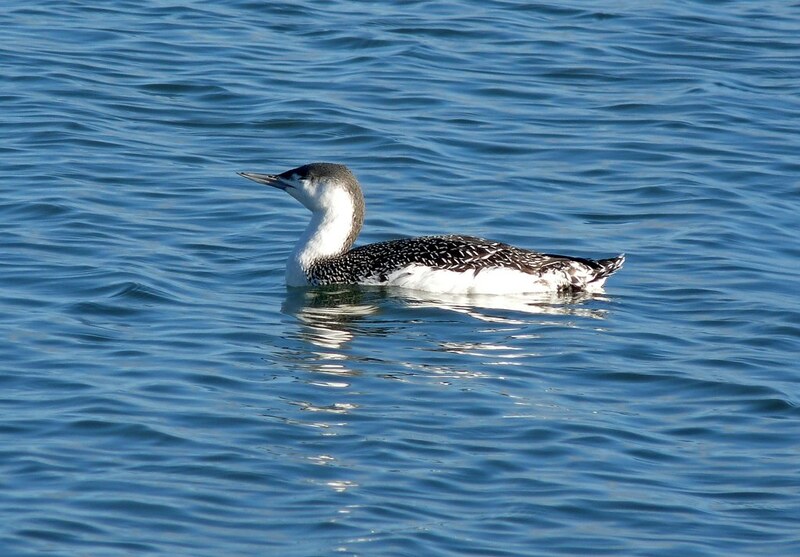 A red throated loon is a super bird and glad you got to see the red necked Grebe! Wow, every one of those photos is lovely! Nicely done! Thanks everyone for your kind comments. It was really was a cracking day and you can't beat Pembrokeshire for some beautiful scenery. Holdingmoments it really is a great area to visit at this time of year. Loads of varied birds off the coast. Fishguard had a Black-necked Grebe as well on the day I was there but I didn't see it. Sally I've been living in Wales for about 7 years now and still have trouble pronouncing the place names. And Springman a soft English baritone is fine by me! Looks like you had a good day out, Adam. I clearly I need to get around more - never been to Fishguard. 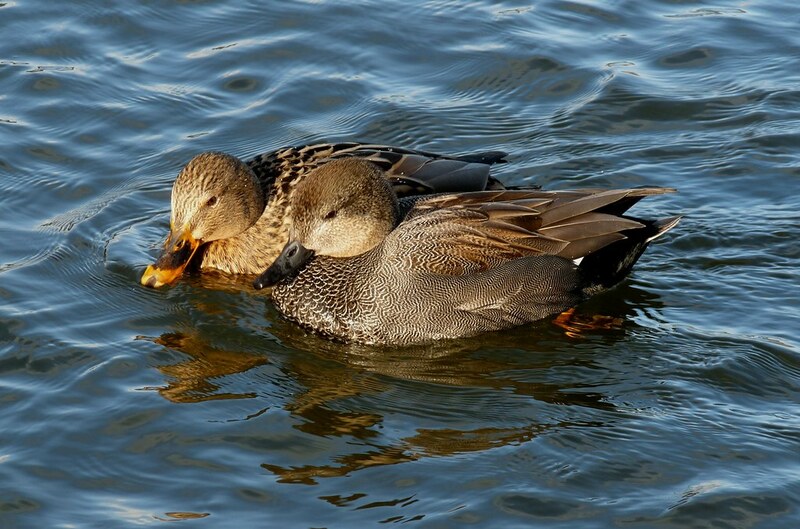 I like your Gadwall, as I've never managed a decent shot of them. Guess you haven't seen a Waxwing recently, then?! The bird shots are fantastic and what a place on top. Amazing! I liked the Red Throated Diver. I am always interested in looking at birds that I can't find here locally.